Let’s follow the most newsworthy events of casual games industry. New apps reviews, games ratings, hot market news and many more casual topics to find out. You need to be aware in order to choose the best. This stylish arcade game may be a good choice for the gamers who like spending time on something addictive, but without any deep sense or progressive gameplay. 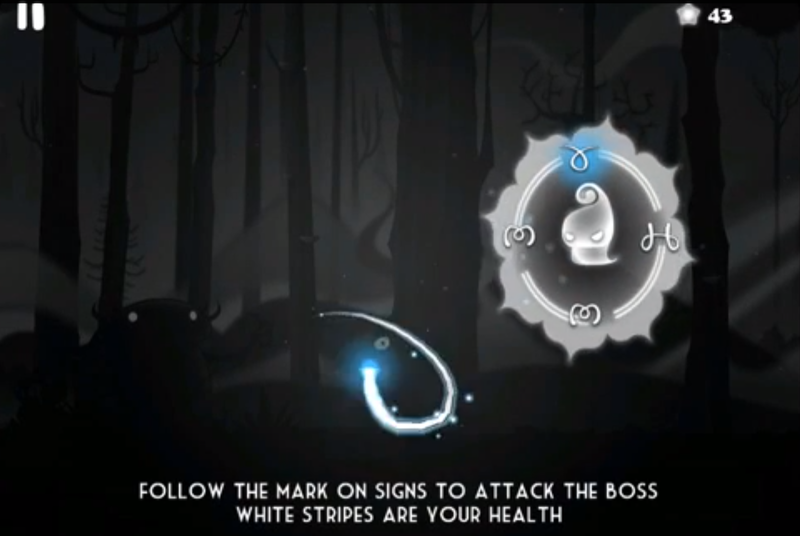 Darklings hold their place in the list of the best new games on the App Store. 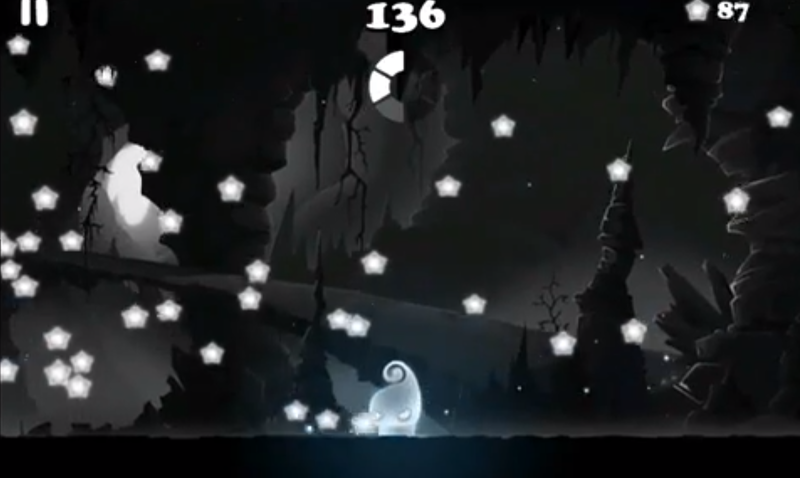 It seems like its developers was inspired by an atmospheric dark stylistics of hit Badland and Limbo. Well, there are no levels and evolving storyline. Events occur within some magic world occupied by mysterious, pretty funny creatures. A group of villains intend to steal all the stars in the world and your task is to protect them by destroying the intruders. You don’t need to master any martial art or get used to vast assortment weaponry. Here are completely different means of war, you should draw symbols. There are 40 kinds of enemies and each of them has his own unique sign on the head. When you reflect that sign on a screen with your finger the enemy will be automatically killed. Sometimes you also meet big bosses, and then it is better to think over swiping strategy more carefully. While killing robbers you get stars which can be used for different superpowers, bonuses and updates simplifying a gameplay. Also you open new characters that bring even more fervor. Occasionally you have to face different missions. Combos are good for getting additional bonuses and stars. The time of each battle is limited. The more you swipe the more you kill monsters and get more stars. At first Darklings seemed really exciting and kind of endless arcade game. The process of drawing queer symbols made me relaxed and I had rest and even forgot about everything else while playing. Of course the best thing is the graphics, my eyes really enjoyed it. I think it could be a great time-killer for only $0.99, but unfortunately I faced some bugs and hardly superable missions. So in my opinion developers might be praised for the concept and artwork, but not for the gameplay balance. I really hope these disadvantages will be removed very soon. 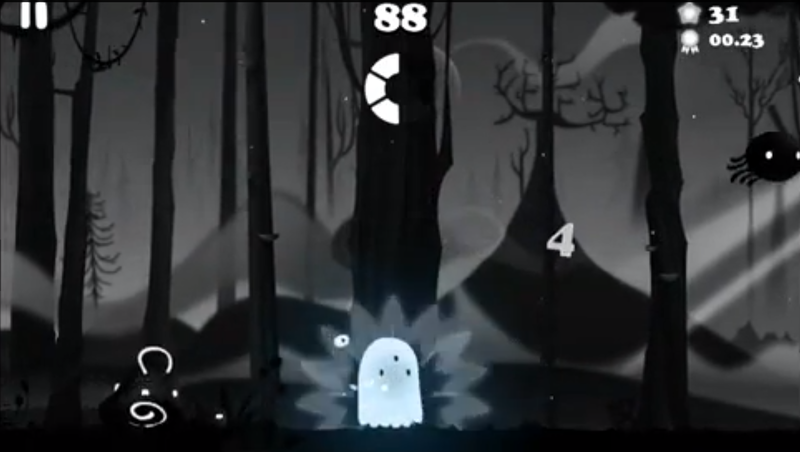 Note: The Darklings was developed by the team of two indie developers: Baloon 27 and Mild Mania. Logitech vs. MOGA: what game controller to choose?